By following simple maintenance instructions it is possible to ensure that your floor remains clean, attractive and gives optimum performance for the life of the product. After installing a Reflex sports surface you will have a pristine new floor that looks great and performs to the highest European and International standards. We want you to keep it that way!! Please take time to view the general guidance notes below and click on the surface specific buttons to ensure that you get the best from your new sports floor. If you have any questions please do not hesitate to get in contact with our maintenance team who will be only to pleased to help. 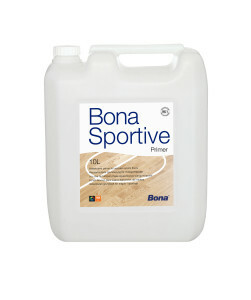 Provide areas for wiping shoes both internally and externally at all entrances. We also recommend placing barrier matting at all internal doors to catch any remaining dirt or moisture. Ensure that all movable apparatus etc which are used in the room are protected underneath by fixing felt pads or strips. Experience has shown that things such as indoor football / hockey goal posts cause a lot of wear to a floor. Insist that users do not wear trainers with black rubber soles as these can make friction marks on the floor that are difficult to remove. Stiletto shoes should not be permitted on the floor as they compress the grain of the timber. Vacuum and/or sweep the floor to remove dust and grit. An anti static “vee” sweeper or well rung out damp cloth are effective means of dust removal. If a floor cleaning machine is used it should be equipped with soft brushes and be of the type that vacuums up the water immediately. For maintenance supplies, please contact Reflex Sports Floors Maintenance division on 01932 563 138. Ensure that the flooring remains within our recommended guidelines for operation – please reference specific product data sheets . If under floor heating is used the maximum surface temperature on the floor should be no greater than 27°C. Always adjust underfloor heating temperatures in gradual implements allowing each surface to acclimatise to the change in temperature. The use of nylon or metal wheels, or similar hard wheels, is not permitted without a protective covering. Care should always be taken when pushing around heavy loads. When loads are heavy, load spreading sheets should be placed in the traffic area, e.g. 22mm plywood sheets. Please contact Reflex if you require any further information. 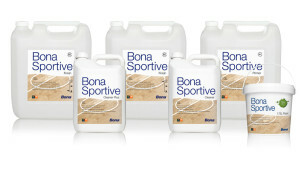 We carry a comprehensive stock of Pulastic and Bona maintenance products. Please call our team on 1932 563138 to seek further advice or to place an order.